Protecting your carpets in the fall and winter can prove to be quite a challenge. The weather will turn cold and wet, and you probably will have increased traffic on your carpets as friends and family come to visit through the holiday season. The extra traffic is certain to increase the germs and particulates, but the time of year also allows for more dirt and debris to be tracked in. Rain and the occasional snowstorm make this time of year particularly difficult to protect carpets. If you salt your front walk after ice or snow, that salt will get tracked into the house and cause real damage to your carpet. Snow on jackets and shoes will also cause water to puddle and eventually stain. But even if there are not heavy snowfalls, children and pets will surely track in rain and mud and leave puddles on your carpet. A bristly mat outside your door will encourage guests and children to wipe their feet, and if it’s a good mat, it will help to dry the bottoms of shoes and will knock off any salt and snow that might be on their shoes. Other than the mat outside, it’s a good idea to have some sort of mat or runner inside the house to protect carpets in high-traffic areas and around the door. Keep old towels and rags near the door so that you can immediately clean up puddles near the door. If these puddles are allowed to sit for any length of time, that water will damage your carpet. Get your kids in the habit of taking off their shoes when they come into the house. Perhaps you can get a shoe stand to put near the door to help children remember to take their shoes off and have a place to put those shoes. 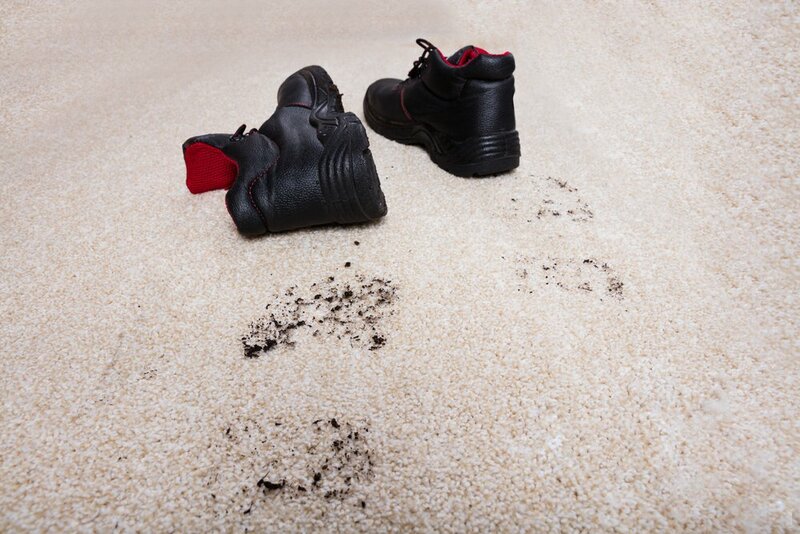 Another important way to protect your carpet is to schedule regular professional cleanings. You can always contact your local carpet cleaning experts for more information on seasonal cleaning. Vacuums will only get up so much dirt. Towels will only soak up so much water. You have to expect that over the course of the fall and winter your carpets are going to be exposed to excess dirt and water, and if that is allowed to sit on your carpet for an extended period it will cause lasting damage to the carpet. But a regular, professional carpet cleaning will extend the life of your carpets and minimize the damage done by fall and winter.